Snapshot of a photo by Jeff Suter. Ah, the plastic pink yard ornament. Yes, that’s what came to your mind, isn’t it? Well, I’m not just a pretty tacky pink, although I certainly love to be on display. I’m a coral pink. I range from white to deep pinkish coral, and yes, I am some times that tacky pink in the yard. Some may say I’m a shrimp. My pink may come from shrimp (I eat those little crustaceans), but certainly no, I am not a shrimp. I am Flamingo Pink. I am proud to strut my charmed pink feathers to entertain you. I have tenderness. I am delicate as fine china, regal as royalty, and robust as a rich ruby port. Majestic? Indeed. Soothing to the eye, yet flamboyant in style. Paint me on a wall and I will comfort you. Use me wisely in your home décor and I will bring prominence to the room. Once you capture my pink essence, you can never turn away from me. You will use me, many times. I will grow in your consciousness to gain your confidence. People don’t pick me much. They’re afraid. I laugh because I know I can bring them merriment. I stand out in a crowd, which I adore. Maybe that’s why I’m less chosen. Only the brave feel safe to display my splashy style and adoring color pink. 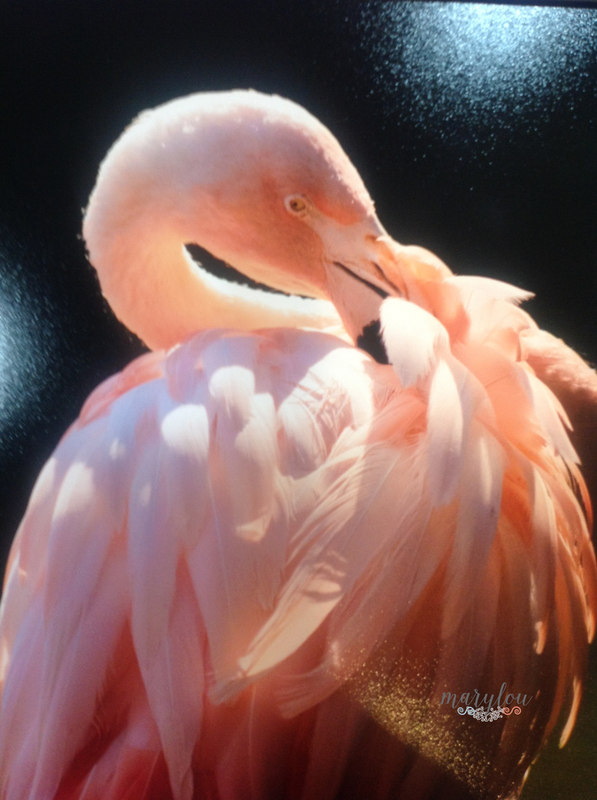 So the next time you walk by Flamingo Pink, take a second look. I’m your color. Use me. You’ll be glad you did.